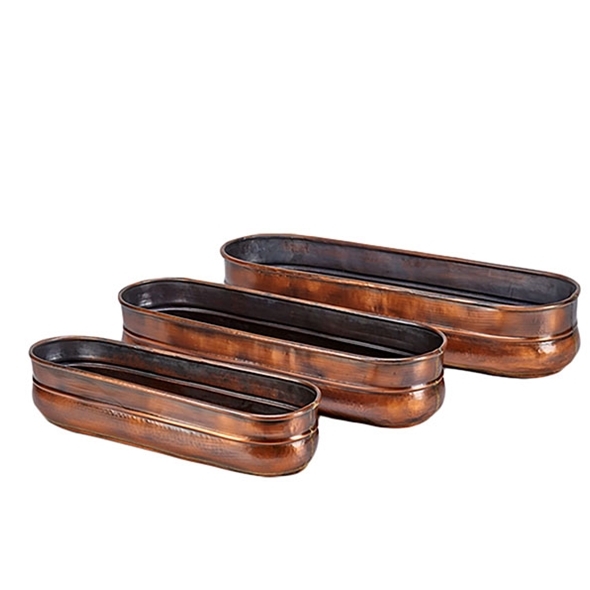 Sold as a set of three, our solid copper Oblong Planters put a new spin on the idea of the traditional window box. Roomy enough for a wide variety of plants or herbs, these planters look spectacular both inside your home and out. Medium: 29"x 9" x 6"